Until now, many marketers and analysts have had trouble analyzing how videos impact their core revenue metrics. This is a big blind spot because more content is shifting to video, and videos are expensive to produce. To give you visibility into your video analytics, we’re launching a new integration category for Video! Today, you can use new plugins for Vimeo and YouTube to automatically import video data to Segment. We’ve also shipped a series of Destinations for video-specific analytics including Adobe Video Heartbeat, Chartbeat, comScore, Parse.ly, and Youbora. Now, you can understand just how much videos are helping your business. There are two ways to capture video data with Segment. If you’re using YouTube or Vimeo players on your site, you can use our new plugins for automatic capture of video data. If you’re using your own custom player, you can implement our Video Spec. The Video Spec gives you concrete instructions on the best way to track video events. If you’re like us here at Segment, you may have chosen to embed Vimeo or YouTube players into your site instead of building a viewing experience from scratch. 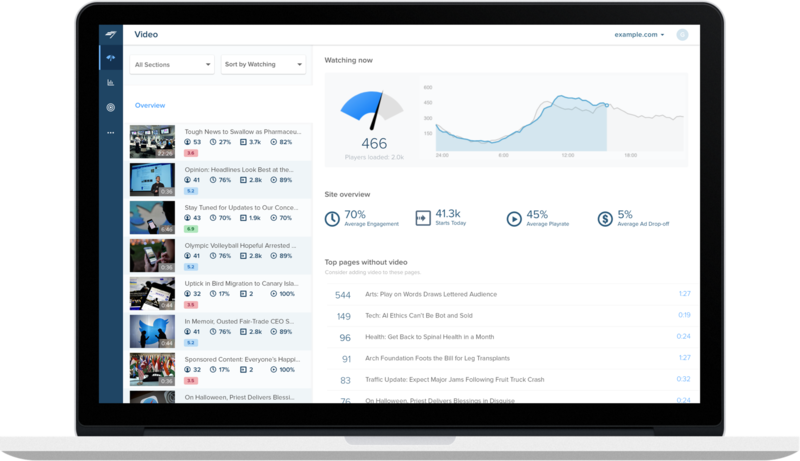 If you’re in this camp, we just made it much easier to incorporate video stats in your content and funnel analytics. If you’re using your own custom player, you can implement the Video Spec to collect engagement data with Segment. The Video Spec outlines our recommended tracking plan for videos. We’ve designed our Video Spec and video plugins to give you the most granular look into what’s happening with your videos including heartbeats, ads, pausing, resuming, buffering, and more. Because video has become a popular content format, a number of analytics vendors have specialized in providing video-specific dashboards. Using our plugins for Vimeo and YouTube, or custom events following our Video Spec, you can take advantage of special video analytics features in Chartbeat, Parse.ly, Youbora, Adobe Video Heartbeat, and comScore. Chartbeat and Parse.ly are great if you’re just starting out with video. They provide an overview of all content analytics, including video and articles. If you’re already using an analytics tool or a data warehouse and want to combine video data with other events you’re tracking, you can also send your video events to general purpose analytics tools with Segment. For example, these events work with tools like Amplitude, Mixpanel, Google BigQuery, and Amazon Redshift. All you need to do is build out your own custom funnels. If video is a key part of your content strategy, Youbora or Adobe Video Heartbeat might be right for you. Youbora is a full-featured video tracking suite that is great for media and publishing companies. It pre-aggregates helpful information about pauses, buffers, and more. Adobe Video Heartbeat (part of Adobe Analytics) allows you to combine your general user behavior, e-commerce, and video data to understand the holistic user journey, acquisition costs, and buying profiles. comScore is a bit different from the other vendors because it focuses on viewer verification rather than funnel analytics. comScore is the industry standard in its category and is how most media companies confirm their audience sizes for ad sales. Connecting YouTube and Vimeo data to comScore can be a great way to increase revenue from ad sales. Journey analysis: How does watching video affect conversion, activation, and retention? What impact does buffering or skipping have on conversions? Content planning: What kinds of videos should you produce? Which length, categories, and structures perform best based on the outcomes you’re trying to drive? Path optimization: Which videos perform best for visitors from particular channels or at a certain stage in the funnel? How should you adapt where you place videos on your site based on when they do best? Triggered notifications: Should you trigger different emails and push notifications if someone has finished a particular video or never watched one? Can you spend more money to retarget high intent users who have watched a video? As your customer data infrastructure, our aim is to ensure you get a complete understanding of your customers no matter where they interact with your business. Now, you can easily add video to the picture. If video isn’t currently a part of your content plan, it’s worth considering. More than 52% of consumers say watching product videos makes them more confident in purchase decisions. Plus, video content sticks with you. Viewers retain 95% of a message watching a video compared to 10% when reading text. To get started with video analytics by Segment, check out our docs for video plugins and Destinations. If you’re new to Segment, reach out for a demo! We’d love to tell you more.